How Does The McLaren 570S Compare To The 573-HP Acura NSX? The new school tries to prove itself against the current driver's car champion. That's just what the test drivers at Autocar decided to do. Before getting to the track, let’s break down the nitty gritty. The Acura manages a spry 573 horsepower with the help of a hybrid powertrain, coming in with an extra 11 horsepower over the McLaren 570S’ 562 ponies. This places both cars into the "No Laughing Matter" category. Still, it’s one thing to have power, whether by a single powerplant or by means of hybrid magic, and another to put it down effectively. 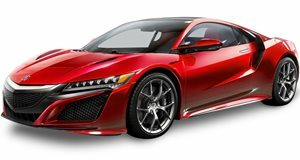 While the McLaren spits its power out through the rear wheels, the NSX can dole it out to each of the four wheels in bites just large enough for the tires to handle. 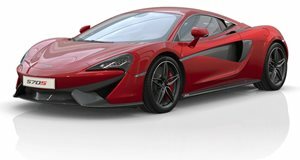 But with the computers helping mediate each input, is it as fun to drive as the McLaren? An F1 driver seems to think so.